The SXSW Gaming Festival returns in 2018 for another three-day gaming extravaganza found only in the heart of the legendary SXSW Conference & Festivals. With a wide array of content that covers video games, esports, tabletop games, VR and AR, cosplay, and more, there’s something to enjoy for every gamer. 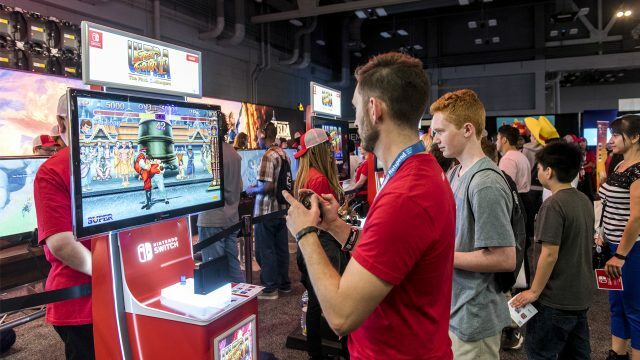 SXSW Gaming 2018 will officially take place from Thursday, March 15 through Saturday, March 17 during the second half of the SXSWeek in the Austin Convention Center and throughout downtown Austin. Highlights from SXSW Gaming 2017 included the return of Nintendo to Austin, an epic Street Fighter V tournament that showcased the best players from around the world, a night full of upsets and surprises during the 4th annual Gaming Awards hosted by Xavier Woods® and OMGitsfirefoxx, and dozens of out-of-this-world cosplayers featured during the Cosplay Contest. The 2017 festival also included a special sneak peek at the recently-released Sonic Mania, the reveal of Sonic Forces, a world premiere Crowd Play of the Marvel’s Guardians of the Galaxy: A Telltale Series adventure game, and special performance by EDM superstar Alan Walker during the official closing party. With a schedule set to include more games, competitions, parties, meet ups, panels, and reveals than ever before, you won’t want to miss your chance to get your hands on the latest and greatest in gaming at SXSW Gaming 2018. SXSW Gaming Wristbands are on sale now starting at only $20 for Single-Day and $39 for Three-Day wristband options.